HOLLLLOOOOOO GLITTTAHHHH cause what else. 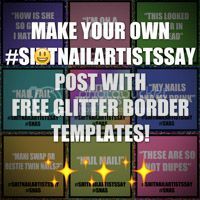 For this week's edition of the weekly nail art challenge (WNAC) I co-host on Instagram along with Kristin of Lacquerstyle and Tracey of MissBellaTracey, the theme is summer and the prompt is magenta and navy! Naturally I did nothing that made sense with this prompt! Here's an in-your-face glitter placement using large maxi-sized holographic loose glitters from my fav nail supply store, Twinkled T! 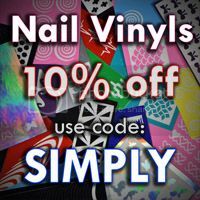 Don't forget you can use my code SIMPLY for 10% off anything in their shop! 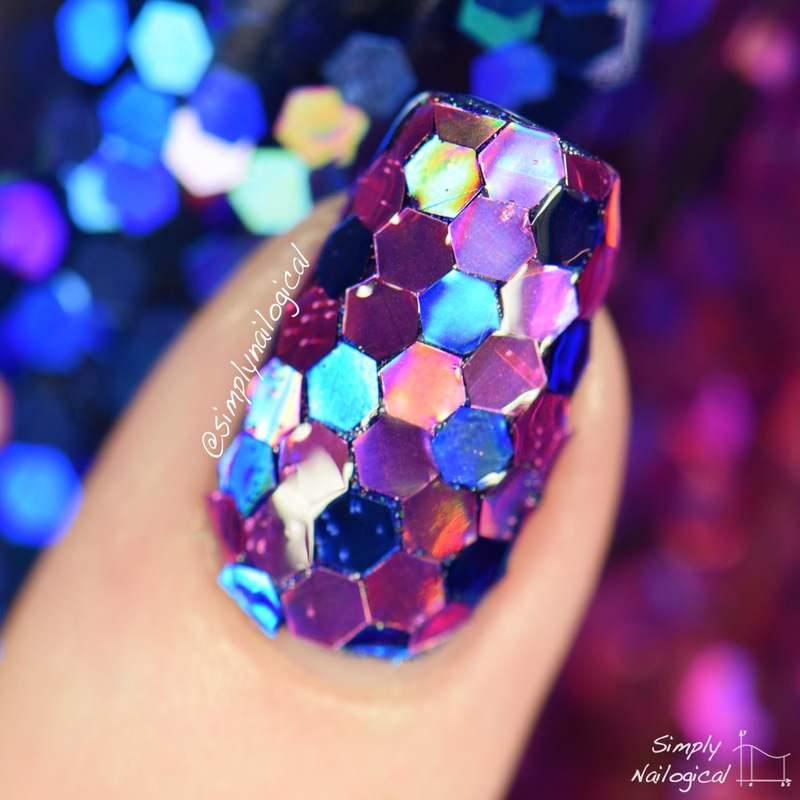 This is my second time doing a full-nail glitter placement mani (here's my first, with smaller glitters), and I placed the large hex's in a soccer ball pattern. Cause summer = soccer? Idk. The holo blinds you anyways so you can't see the soccer effect at all, whatever, sports, boring, not holo. 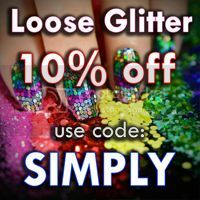 Loose glitter from Twinkled T in 'Blue Moon holo' (maxi) and 'Lavender holo' (maxi) --- you can use my code SIMPLY for 10% off your order of anything in their shop! UNT Peel-off base coat - What I use to easily peel this mani off when I'm done! 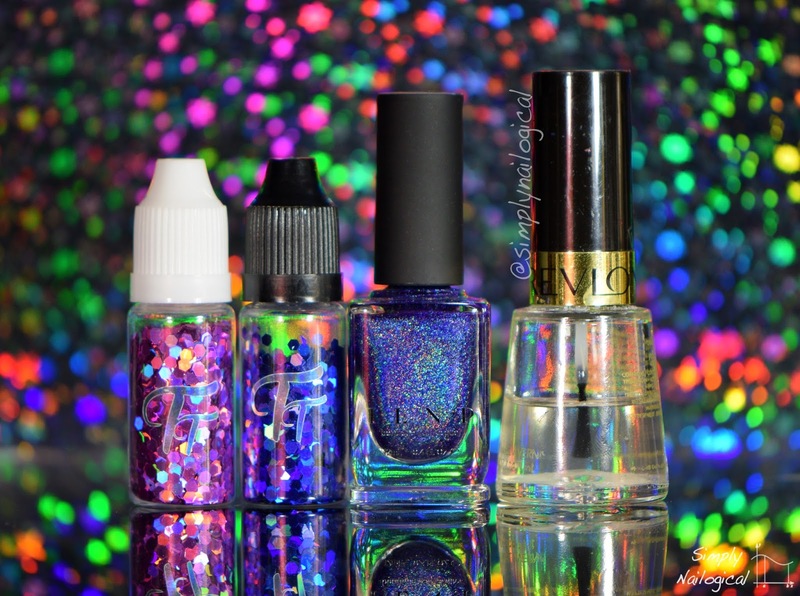 *Glitter was provided to me by Twinkled T for my impartial review. ILNP polish was provided to me by ILNP for my impartial review. Peel-off base coat was provided to me by Live Love Polish for my impartial review. For more information, please see my disclosure policy. DANG!! this is awesome, I will definitely be purchasing some. 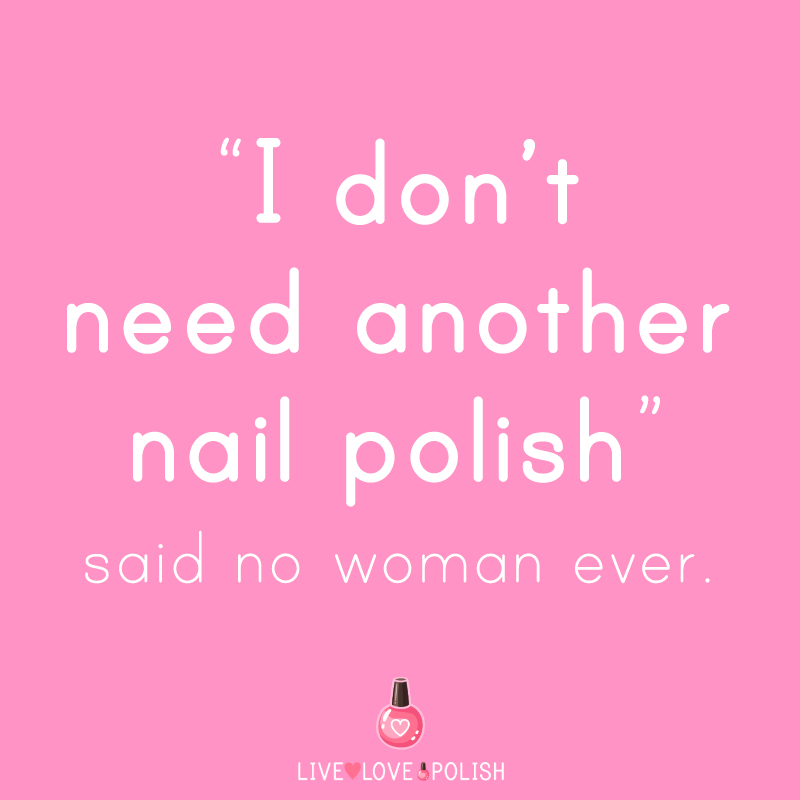 Do you happen to know if it works the same over gels? I have found that any glue based ones do not peel off when applied over gel. 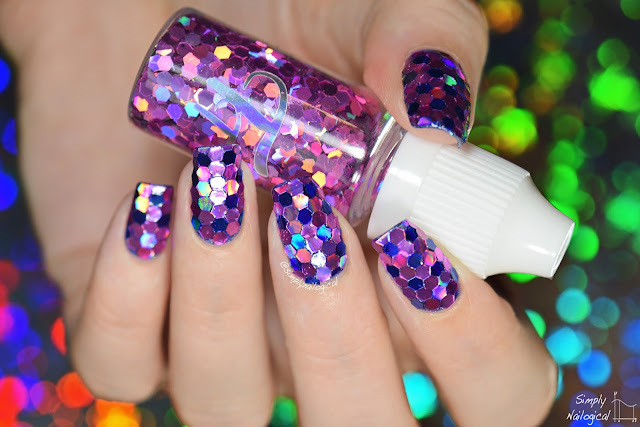 Beautiful glitter placement! I literally don't have the patience lol. Wow nail polish looks awesome these are latest designs and i didnt see these in the market. 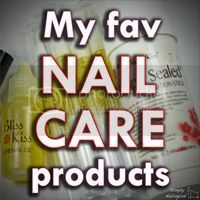 This blog has great collection about new nail polish designs. I know girls would love to see this type of unique ideas. Good luck blogger keep growing this type of things.